The Council – Episode 1: The Mad Ones is ranked in the 63rd percentile of games scored on OpenCritic. The Council is probably the best example of how to do a narrative, choice-based story which actually changes based on your actions and personality. 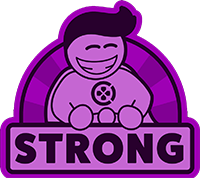 The implementation of an experience system which allows for you to pick and choose which traits to obtain and upgrade offers a lot of depth and originality into a genre which has become stale with the 'interactive storybook' titles out there. The story is interesting, the events that happen will keep you questioning and the promise of finding out new things based on playing the game differently each time really adds to the replayability of this masterpiece. Don't be put off by the issue with the lipsyncing or the lacklustre accents, the narrative is great, the atmosphere is perfect and the mystery and suspense is up there with the best of games! The Council - Episode 1: The Mad Ones is an excellent game. It can put elements of various game styles together and they all match in a perfect way. If you seek narrative, investigation and the feeling of being a detective from the 18th century, The Council is for you. The biggest problem here is in the end of the first episode, because the desire to play the next one is going to be strong. The Council is a beautiful, diverse and complex game. although fundamentally it can be categorized as an interactive adventure game, its use of other complex mechanics and Role-playing elements make it stand out among its peers. the mysterious story that takes place during the French revolution and involves a fascinating story about a secret council manages to convey a truly joyful atmosphere. The Council offers gamers a tension filled journey purely fueled by character interactions and mysterious circumstances. Best of all is the evolved gameplay mechanics from what we're used to for an episodic endeavor. I truly felt that I had control of every situation from an ability standpoint and a cleverness one. Wrap up an amazing RPG progression mechanic into a great looking voyage on a mysterious island and you have an incredible start to a game. The seeds of a secret society's leader gone missing have been expertly laid and I can't wait until Episode 2 comes about. Here's hoping this first one isn't the end of where the title shines. The Council is the next evolution of episodic storytelling and you will struggle to look at its competitors the same way after it. I am hugely excited about the promise of The Council and can’t wait for the next four episodes. I hope it continues to surprise and intrigue me as much as The Mad Ones has, and the hints delivered so far begin to ramp up to a great conclusion. Episode 1 of The Council offers just the first taste of an intriguing narrative, wonderfully tied with an original approach to the narrative-adventure genre. The first episode of The Council presents a promising world and perhaps some very dynamic experiences. The Council - Episode 1: The Mad Ones perfectly sets the tone for the remaining episodes, crafting an enthralling narrative with a colorful cast of characters. The inclusion of the RPG elements helps dynamically influence conversations and how you perceive other characters. Using your skills instead of focusing on win or lose quick time events is a nice change of pace for the genre. Finding manuscripts/books while you are exploring yield free skill points during each quest, rewarding players that thoroughly search the environments, not to mention pieces of amber that extends the number of available effort points. Although there were slight visual irregularities, and minor hiccups on panning camera shots, The Council performs rather well but doesn't have added support for PlayStation 4 Pro or Xbox One X. The Council, just going by the first episode, is a very good attempt to evolve the choose-your-own adventure game style, going far beyond what Telltale have attempted. Occasionally rough around the edges, The Council's first episode is a surprisingly entertaining combination of Telltale's episodic adventure games and tabletop RPG elements. Aside from the stilted voice acting and ugly visuals, The Council gets off to an excellent start with The Mad Ones. The over-arching plot is sufficiently intriguing, while the light RPG mechanics gives the narrative adventure genre the kick in the pants it has needed. Episode 1 of the Council AKA The Mad Ones sets out to subvert the status quo of narrative based adventures but stumbles on some of the basics. If the rest of the series plays out like The Council: Episode 1 – The Mad Ones, then adventure game fans are in for quite a ride. The storylines and mysteries are intriguing thus far. While there is simplicity in the puzzles, the RPG elements and deeper conversation system make the game more appealing than some other adventure titles. There's currently no timetable for future episodes of The Council, but adventure fans will enjoy this title. A strong start for the latest in a long wave of episodic narrative adventure games, The Council sets its stall out from the beginning as something unique, inventive and deserving of your attention. The Mad Ones raises a lot of questions and leaves us on a heck of a cliffhanger, but even without that, it sets up an exciting enough premise to leave me on tenterhooks for the next episode. I can't wait to see what else Big Bad Wolf has up its sleeve. 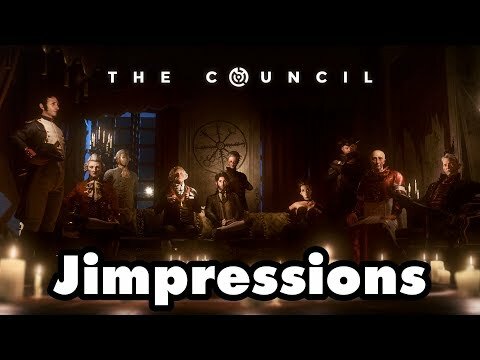 The first episode of The Council shows some interesting ideas that could change the way future adventures will entertain fan of this particular genre. We hope that the guys at Big Bad Wolf could keep the freshness of these ideas during the whole season, and we can't wait to try the second chapter in the coming weeks. If you can get past the slow start and some of the glaring technical problems of The Mad Ones, then you will find the most innovative episodic adventure games to come from a studio other than Telltale. I can see The Council becoming a standout title within its genre when it's finished, but as it stands The Mad Ones has enough problems to where everyone may not be on board just yet. The Council: The Mad Ones is a good start. Adding RPG elements in a classic adventure game is a very good idea, but there's something wrong in the reactions. Also, the graphics are outdated. This first episode takes its time to introduce the plot of the Council as well as the RPG mechanics. They suit very well to the narrative genre, allowing the player to follow its own path through the choices of the game. More than enough new ideas have been thrown at The Council to make it stand out from the crowd, and, while flaws are clearly evident in the three hours that you will spend with this first episode, it makes for a promising start for what is left to come. The Council provides some much needed zing to a stale genre. It has many issues, but there is plenty here to keep you intrigued about the next episode. The Council is off to a really good start with Episode 1: The Mad Ones, with an occultism/conspiracy-heavy story that is as mysterious as it is engrossing, and a RPG skill system that works well in unison with the more "traditional" elements of narrative-driven gameplay. It's a rough diamond, for sure, but at least it is one that provides a fresh look on the genre, making it easy to get hungry for the next chapter. The Council features a compelling mix of iterative mechanics and narrative-driven gameplay to create a truly unique experience. Its first episode, The Mad Ones, has its shining moments, but something feels missing from the final product. Episode One: The Mad Ones of The Council launches a riveting, dark, and twisted story of secret societies, engulfed with key historical figures such as George Washington and Napoleon. 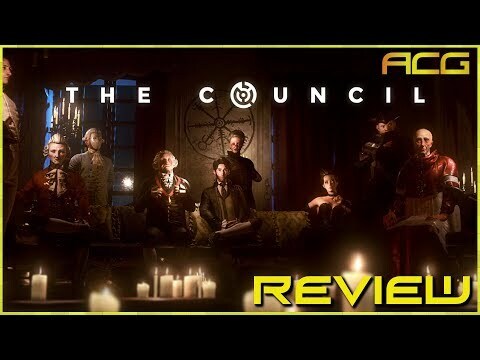 The first episode of The Council is very promising and offers plenty of great and innovative gameplay mechanics. There are some technical issues and story is a little slow, but overall, it's a good start. In many ways The Council is a brave step forward for narrative adventures; offering a multitude of ways to mold your character; more so than any effort in the genre before it. The illusion of choice is something games often struggle with, and The Council’s first episode is no different. Rather than relying solely on its narrative and mechanics to create an “atmosphere”, it pressures the player into thinking that every decision is extremely important. Thus, creating often unnecessarily stressful situations. Let’s hope the next episodes can fix that.